According to Akande, the former President has demonstrated “a surprising but complete misunderstanding of the workings of TraderMoni, that is if we assume there is no mischief intended. 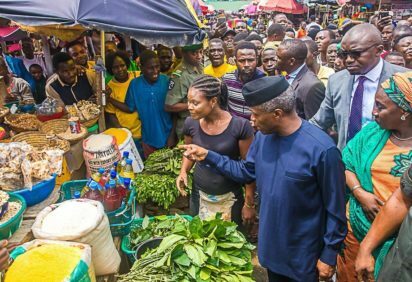 “Firstly, the Vice President does not personally distribute money during his visits to the markets. He goes there to assess the progress of the implementation and to create awareness for a programme designed to meet the financing need of 2 million petty traders across the country in the first instance.